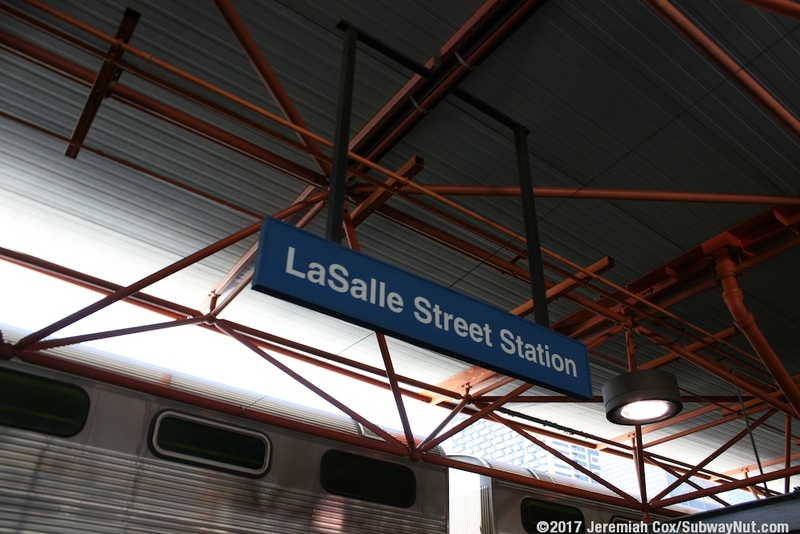 LaSalle Street Station is the downtown Terminus of the Rock Island District, and may also become the terminus of the Southwest Service if the proper connection in Englewood is built where the lines run near each other (Rock Island Line trains could head into Union Station here, but the proper crossover doesn't go the other way). 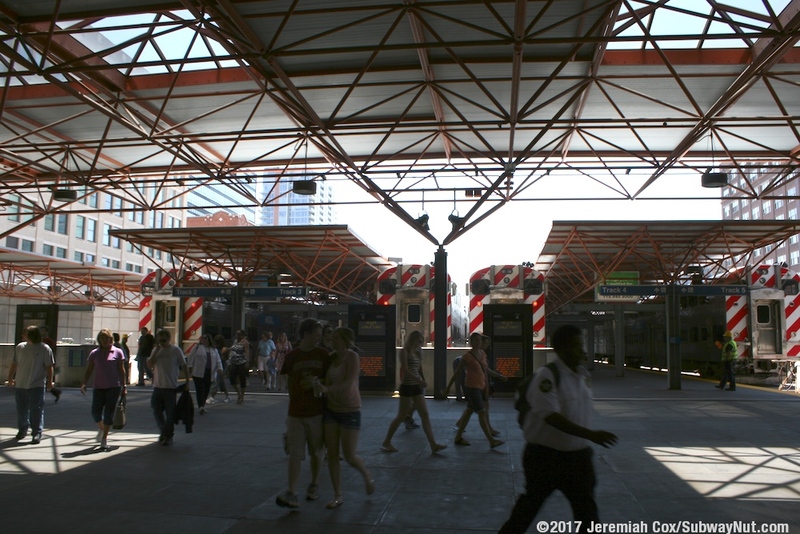 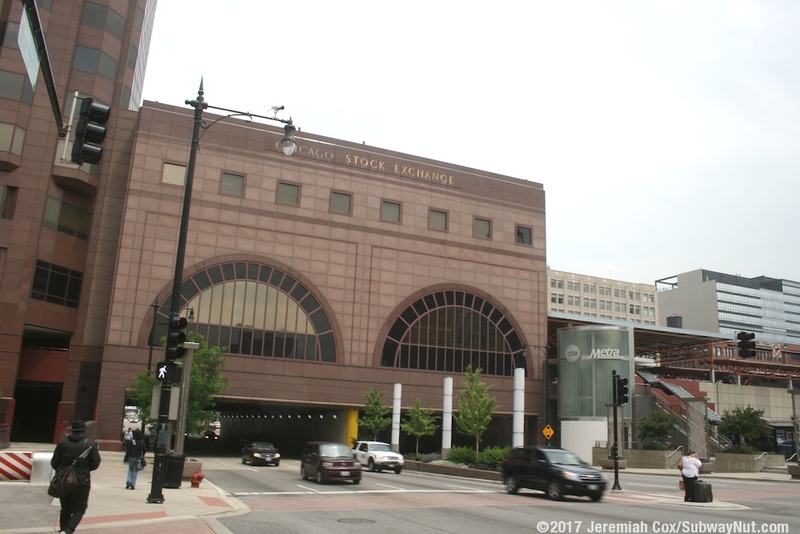 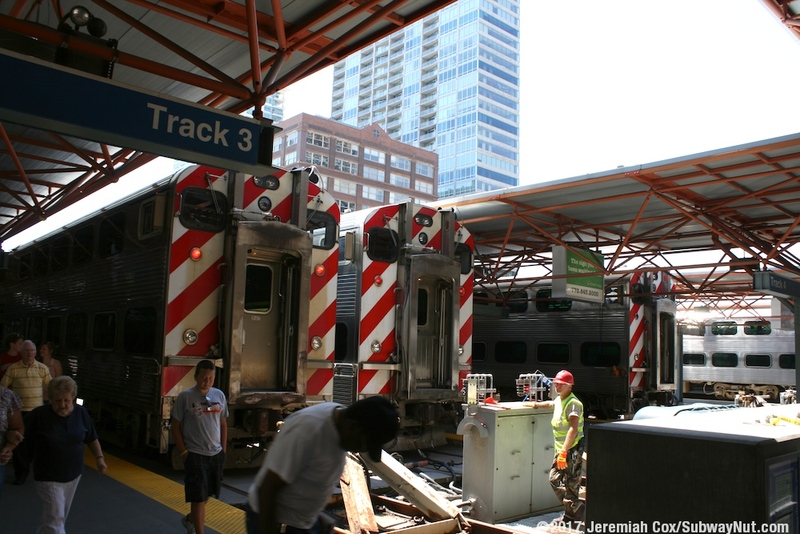 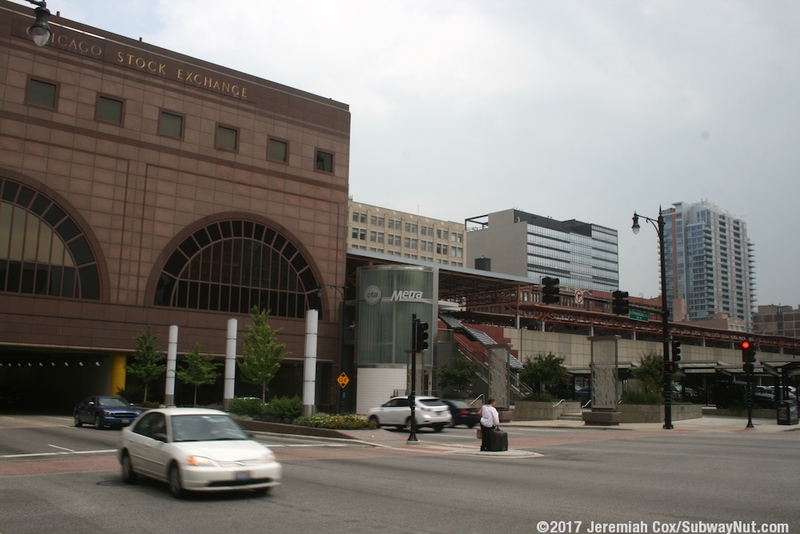 The current modern station is the fifth built on the station site, and replaced the former Rock Island Train station demolished in 1981 and replaced by the current station located in the Chicago Stock Exchange Building. 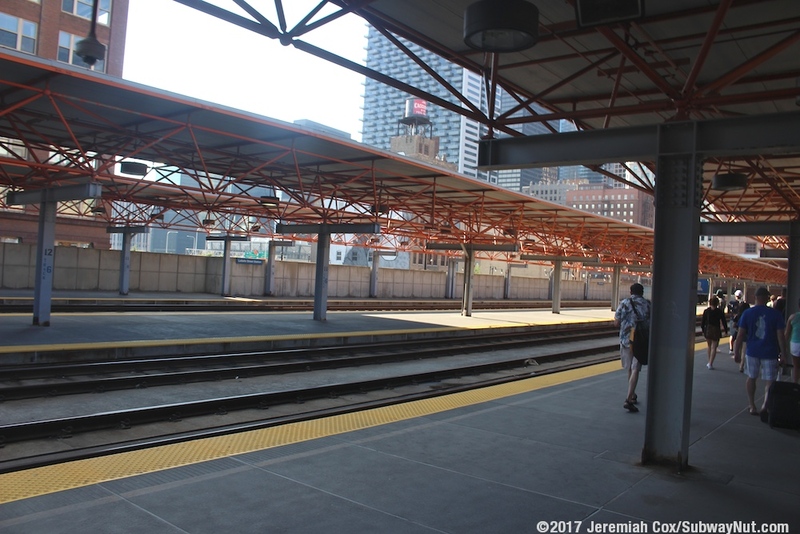 The station has 8 tracks and 5 platforms located on an concrete embankment, there are 3 island platforms for all of the middle tracks, and 2 side platforms that serve the outside tracks. 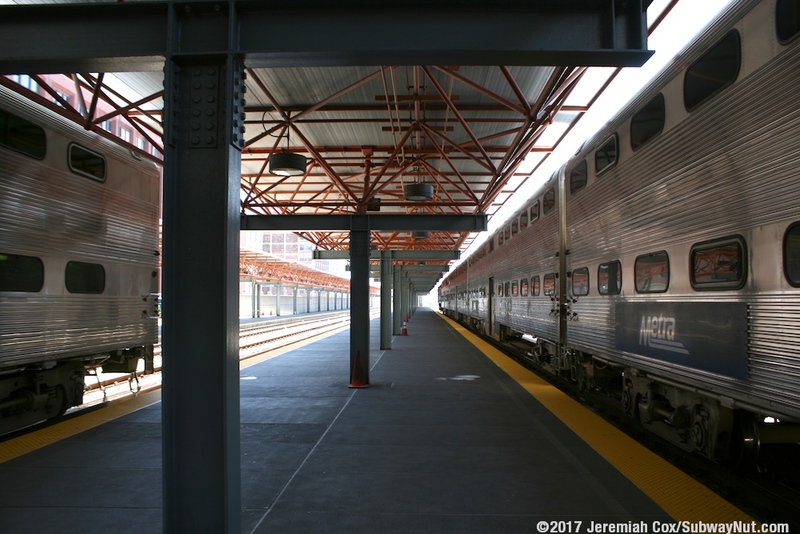 The platforms are all covered except at their very extreme southern ends by a unique canopy structure where metal T bars holruc tress structure that ultimately holds up the platform canopies. 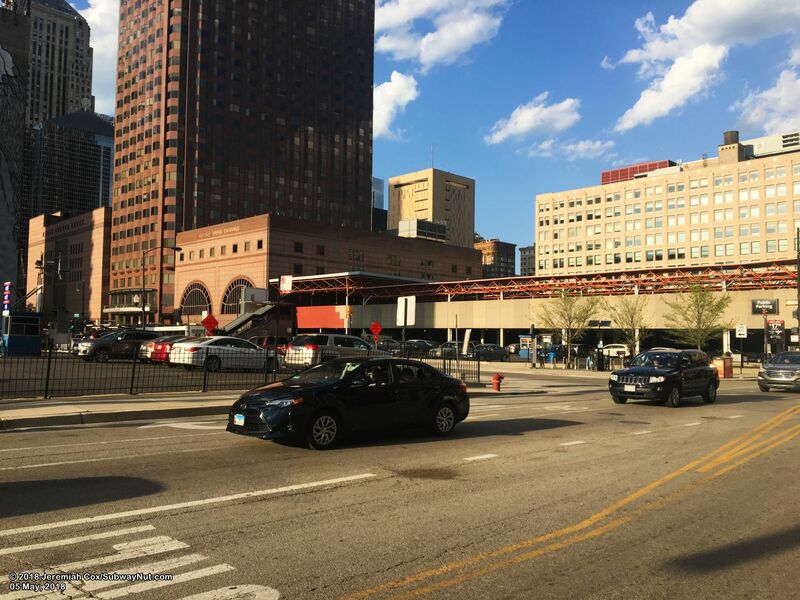 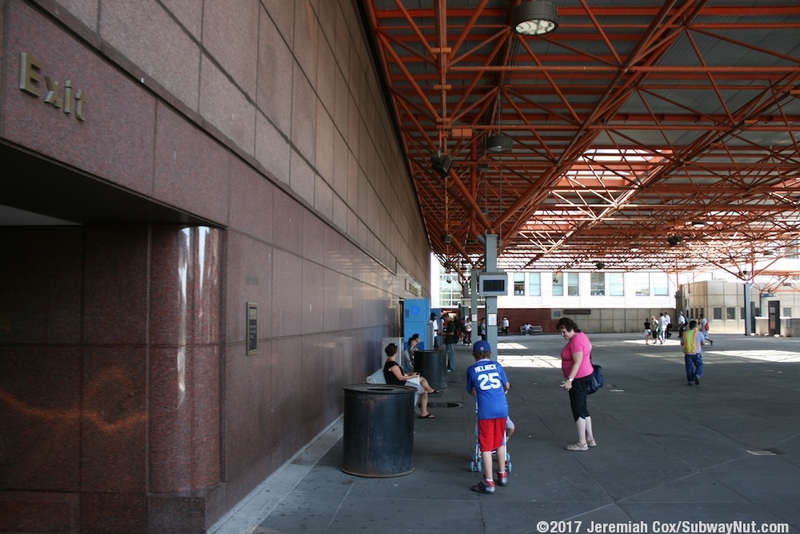 All platforms exits (which are clad in marble blending into the office building their built into) are beyound the bumper blocks on the South SSide of Congress Parkway, at a large plaza. 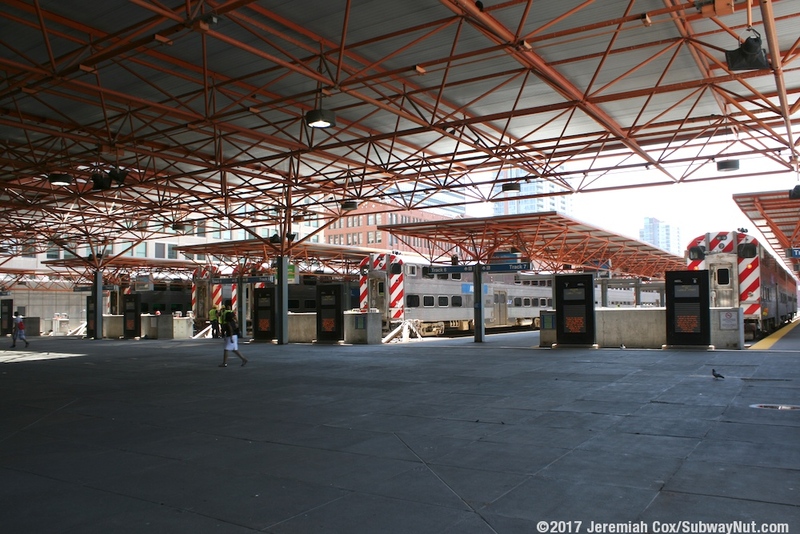 This wide and roofed open area contains a few benches outside and a small enclosed waiting area. 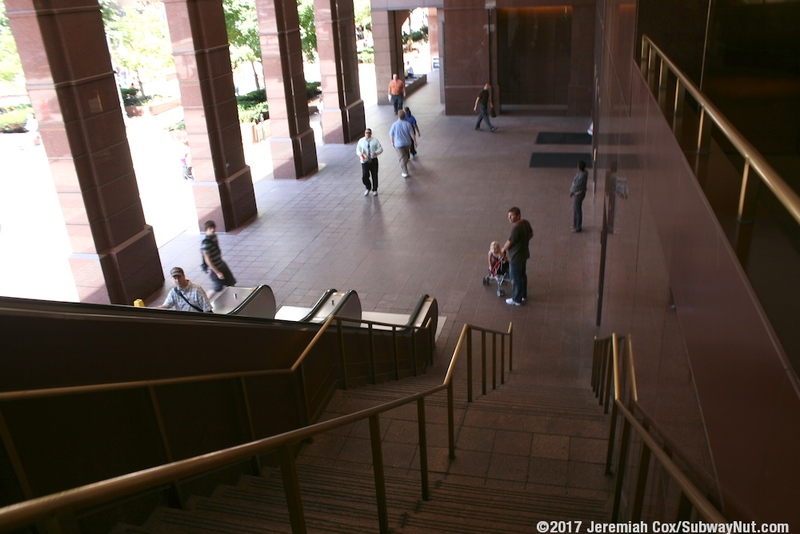 On each side of the plaza a set of escalators and steps lead down, off the platform. 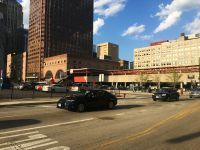 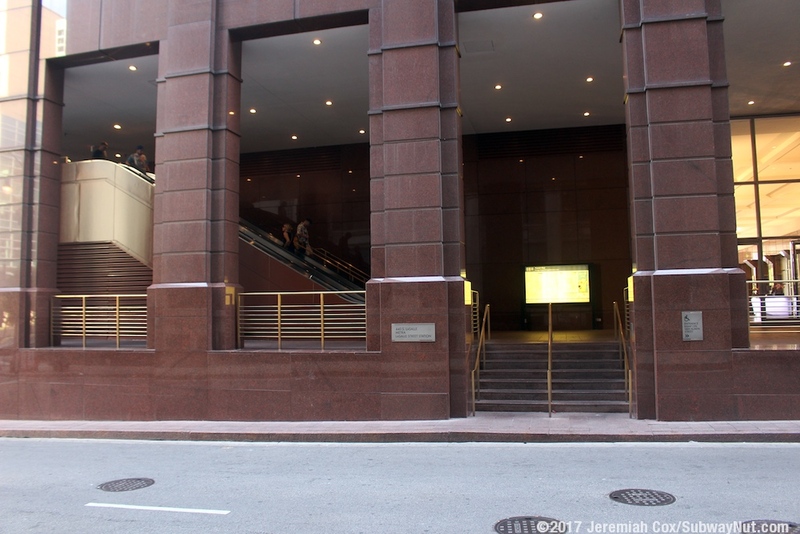 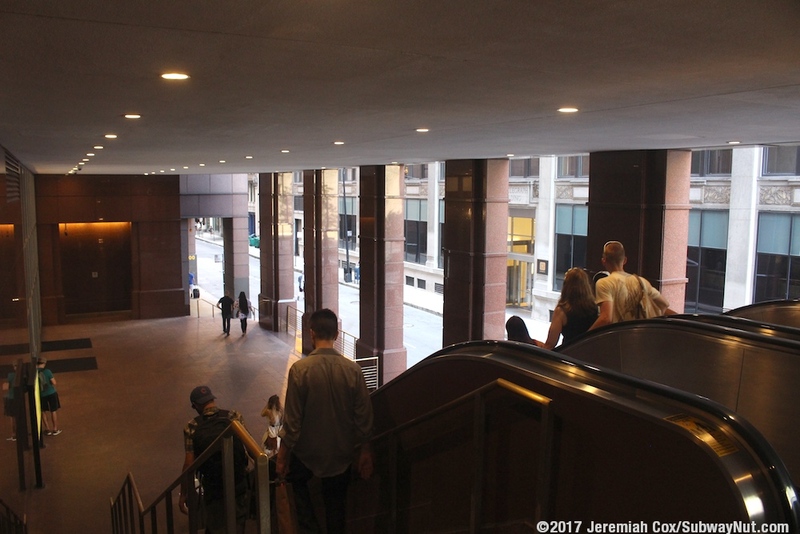 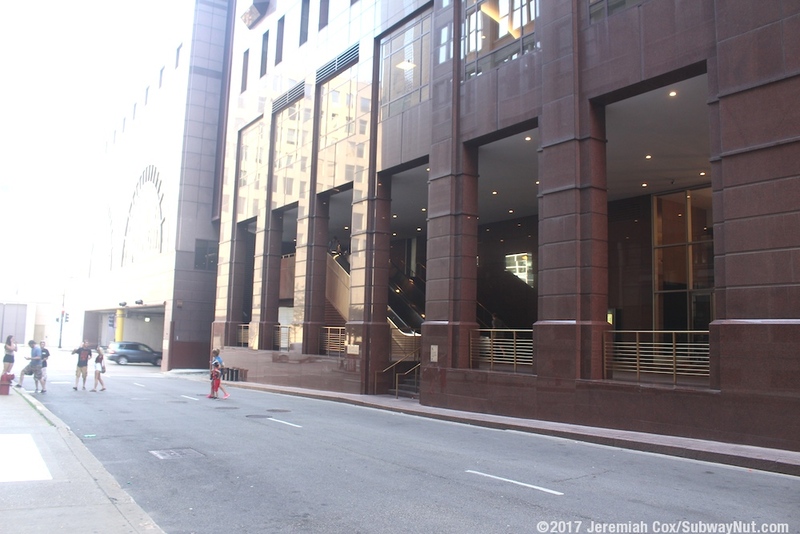 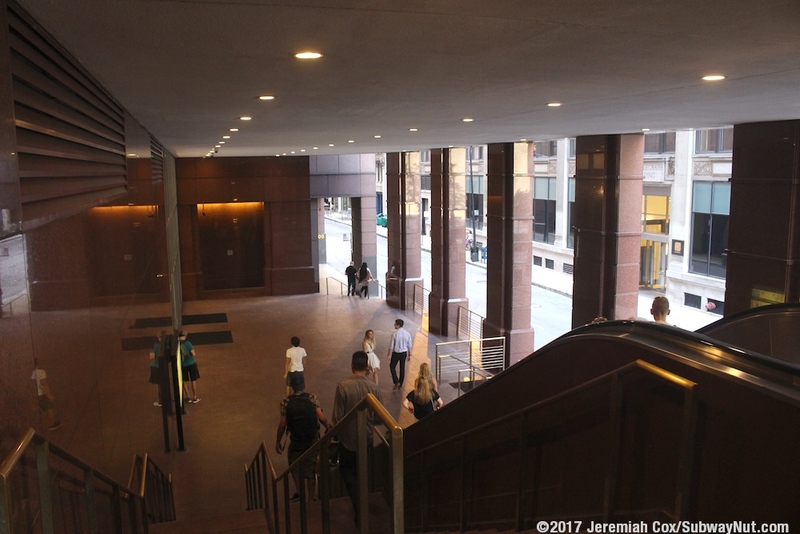 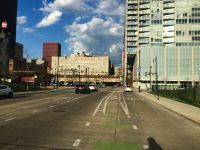 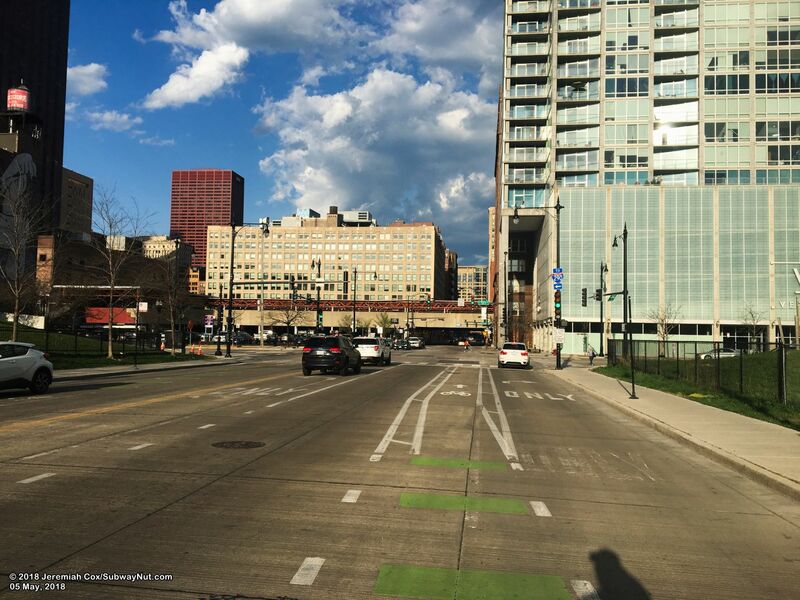 The east staircase leads to La Salle Street, near the corner of Congress Parkway and LaSalle Street, ending in a few more steps. 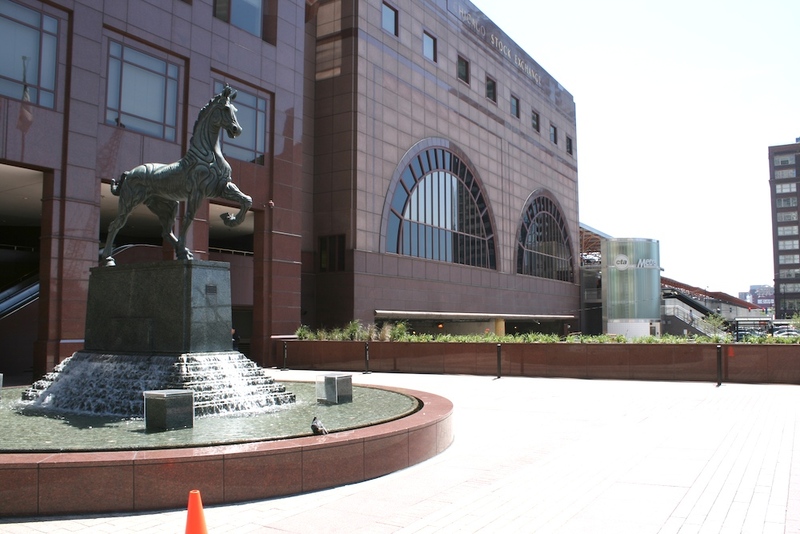 The west exit (which also includes an elevator) leads down to a wider plaza that contains "The Horse" Statue, which is elevated above Congress Parkway and leads directly to financial place. 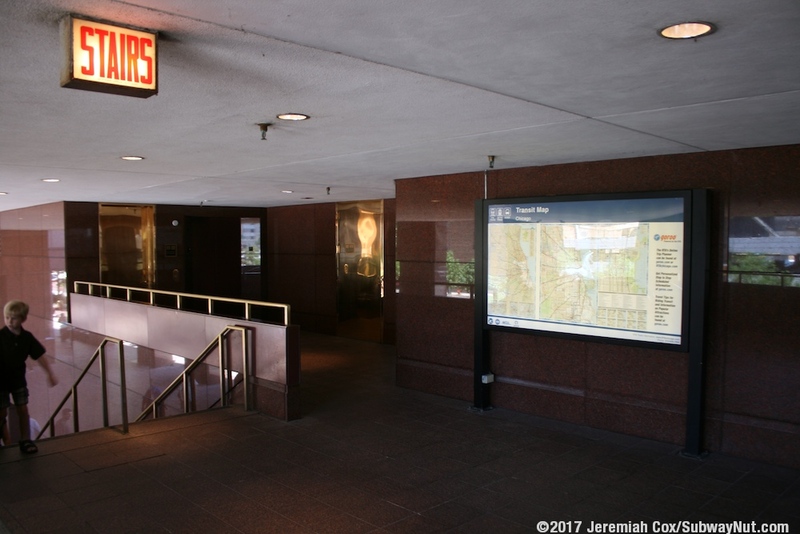 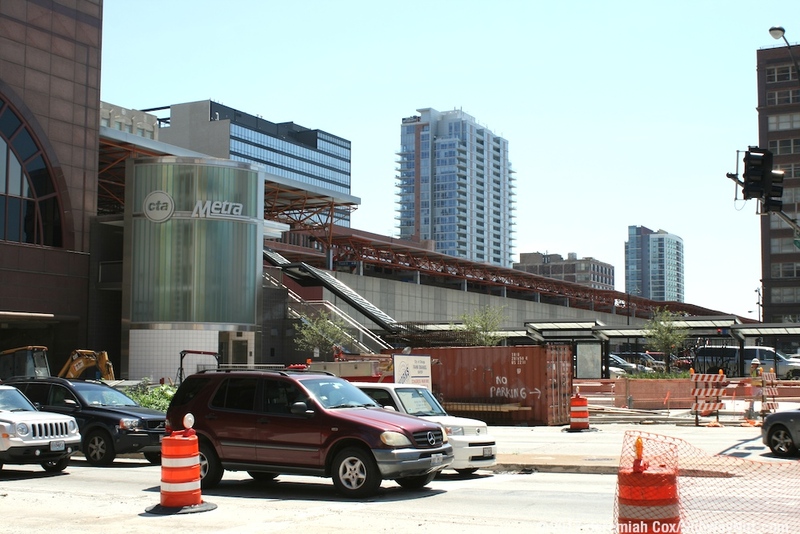 In 2011 as part of an RTA Regional Connections project, a new elevator shethed in glass and a staircase were built on the west side of the large platform entrance plaza to the South Side of Congress Parkway connecting to a more comprehensive bus stop.